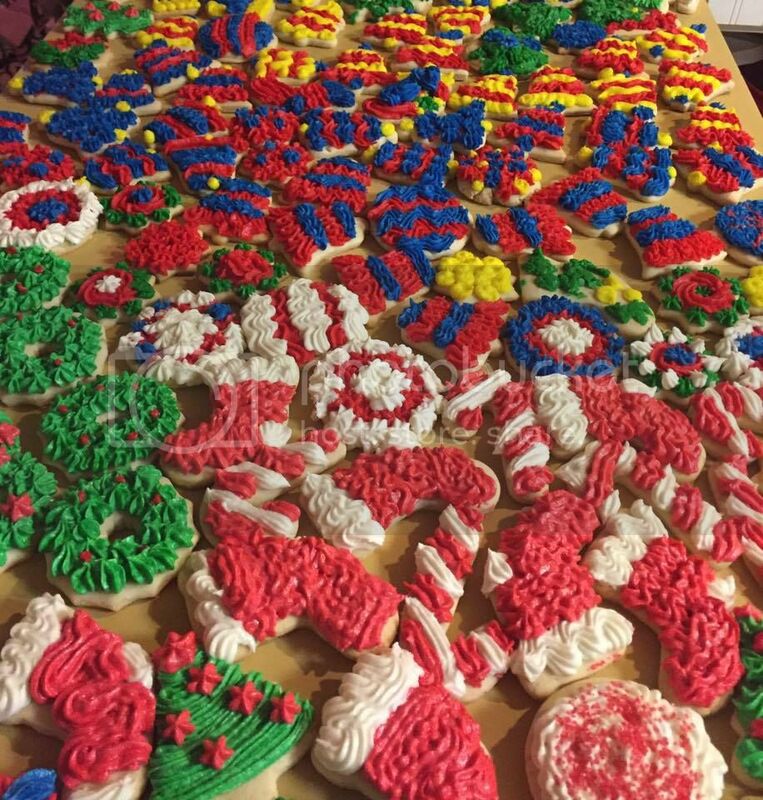 Share your holiday cookie recipes! Time to divulge your secret cookie recipes for Halloween/Thanksgiving/Christmas or for everyday munching! What are YOUR cookie recipes for the holidays? I've made it a few times since then, and received rave reviews each time. Orange and cranberry is such a great holiday combo. I made them iced and non-iced, both versions are great. We always just do a regular sugar cookie, with regular buttercream icing. But we make a LOT of them. LOL. This year, I'd really like to try to make baklava. Is that a cookie? It's a little intimidating, looking at it, so I may or may not give it a shot. I made them without glaze, with 1/2 tsp of orange extract instead of the orange zest, and with blueberry flavored Craisins. SO good! I will definitely make these again! Let's see... Where do I start? NOTE: This dough is the consistency of thick frosting when made correctly. Don't let that scare you! The beauty of this one is you can turn the middle layer pretty much any flavor you like. Doesn't have to be mint. I've turned it strawberry, cherry, or raspberry in recent years, all to good reviews. Yummy! I can't wait until cookie and candy making time! If anyone has a sugar cookie recipe for the cookie press, I would love to hear it. Family doesn't like the normal butter/spritz cookies, but I like using my cookie press. I tried a couple different non-press recipes last year, but they were dry or sticky and didn't play nicely with the press. Curious.... what is a cookie press?? It's the wondrous thingie that makes those adorable little tiny cookies in different shapes that often get decorated with sugar sprinkles. You squeeze the dough through a tube with a disc on the end that makes it into different shape. Think of the play-doh extruders, except it only dispenses the amount for one cookie. Oh, that was a lot of confusing words. Here's a link so you can see. Edited by bluebear, Oct 15, 2018 - 9:04 pm. I'm looking for some vegan cookie recipes. 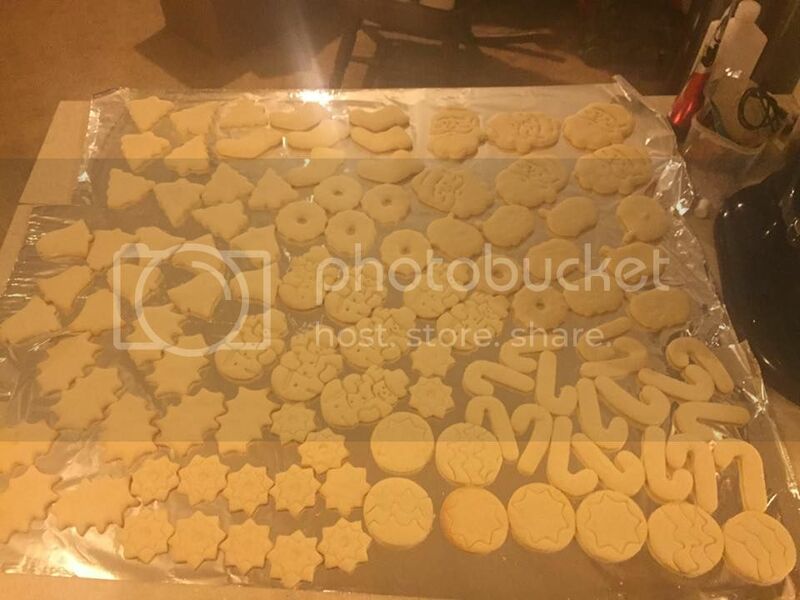 I baked a batch last year for my youngest, but want to try something new. BTW - they are a pain to make as you have to keep freezing the dough because if you don't they will melt when you bake them! Looks like there could be some tasty ones there. Okay, tried these last weekend and LOVED THEM!!!!!! I destroyed the first batch and got it right the second time and when I woke up they were gone. Oh, those look really good! I love german chocolate cake....and I'm a pie type of a person. I am not a coconut fan but my DW is, so I will give it a try. My local grocery store is going to love me this year. I like to bake, but for sugar cookies I kinda cheat and use the Betty Crocker mix in the bags. Just remember to set your butter out to soften, and it's very easy and they turn out great. there is nothing wrong with that! I do that with a few of my cookie recipes. I love the peanut butter cookie mix! We started doing the peanut butter blossoms with the hershey's kiss on them from the mix they sell at Sam's. Saves us a LOT of time during a time when we are already plenty busy. Blend mixture, add dry ingredients, chill for at least 1 hour. roll out, cut, and bake @ 375 until just almost brown on the bottom. These are out go to recipes every year, and it keeps em coming back for more . Good luck! the German Chocolate ones or a different coconut cookie? And when you say flat, what exactly do you mean? Was the flavor not there or literally "flat"? For Fall/Halloween these are the best! Reese's Soft Bake Peanut Butter Cookies - with Reese's Pieces AND chocolate chips/chunks! Yes please! Chunky Chocolate Gobs - Use chopped oreos, Mounds bars and chocolate chips - if you have someone who likes chocolate and coconut, these will be a hit! Peanut Butter Chocolate Swirl Cookies - These are always a popular item on the cookie tray! Seven Layer Magic Bar Cookies - Graham cracker crumbs in the dough, need I say more?